What is up, everybody? Fred Lam here and welcome to our daily huddle episode number 66. My apology for not being here live for our daily huddle yesterday only because I was stuck in traffic and not only that I was actually stuck in my studio room recording a bunch of amazing content for every single one of you. My sincere apology for not being able to be here for our they huddle yesterday. By the time I got back to the office, it was pretty late. I should say it was very, very late and it was like 10 PM. I know at that time, a lot of you guys are either gone to bed or you have been doing something else. I didn’t want to push it and come on for our daily huddle. 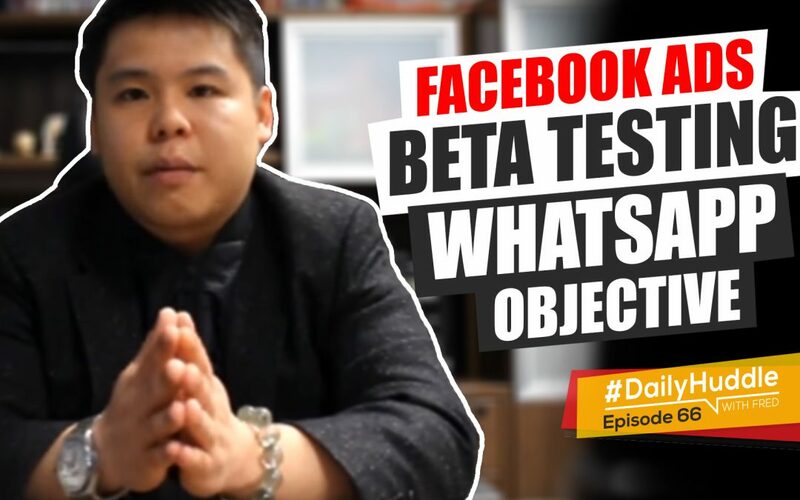 In this episode, obviously I want to talk about a new marketing objective that Facebook is beta testing right now which is Whatsapp. With this placement, not every single person have access to this. It is still in beta and I’ll be honest, I don’t even have access too. I know some people do and I have been waiting for feedback on results on what is happening and I’ll drill in even deeper on what that objective is and what kind of businesses should actually use this form of advertising. For those of you who are excited about my daily huddle, please give me a comment right below in Instagram, YouTube or Facebook. I read every single one of them. I see if there are anything that you guys like about my daily huddle or if you guys don’t like about some things. I will make sure it is tailored towards you because all my daily huddle is built for you guys. It’s not for me. It’s really built for you guys so I can share my knowledge with you every single day. If you want your question to be featured in our daily huddle, all you got to do is go to www.fredlam.com/ask, fill in that quick form and we will get your question featured on my daily huddle as soon as possible. With that being said let me dive right in. I know that today is Friday. I don’t want to take too much of your guys time, so I’m going to dive right in into our questions for today. [0:03:02] Question 1: I don't know what LB stands for, for lead. I don't know. I can't really understand what LB stands for but let me finish the question on my winning adsets? But the first day result only breakeven, do Facebook need optimize first on scaling adsets? Fred, thanks for your amazing content. You’re genuine. Thank you very much. I want to ask a while ago I do scaling with LB. I don’t know what LB stands for, for lead. I don’t know. I can’t really understand what LB stands for but let me finish the question on my winning adsets? But the first day result only breakeven, do Facebook need optimize first on scaling adsets? To answer your question, I do not know what you mean by LB. For me, to interpret and to answer your question correctly, it is not going to be at my best because I don’t know what LB really stands for so let me eliminate that LB and let me actually look at the following. Let’s say that you have a campaign that you are breaking even on day 1 and then on day 2, you don’t have any sale. It is absolutely fine if you have the 4 numbers. Now, you’ve got the CPA, you need the other 3 numbers. If your cost per click the link it’s less than a buck, if your CTR is above 1.5%, you would actually want to continue to run it. The reason why you are getting like a fluctuation of getting at breaking even, doing profit, breaking even not making sale, making profit, it’s really because Facebook is trying to find you the right audience. Now within 24 hours, if your ad is already getting results and you are breaking even that is a good news. As a matter of fact, that’s a fantastic news! What that means is that there is a high potential that your product is going to sell really well, but given, here’s the thing I’m not sure what your budget is going to be but let’s say if your budget is $5 a day, you still got a sale. You still want to look at your CPC link and your CTR link because those are indicators to share with you how scalable your ad is going to be how sustainable your asset is going to be. So, for me on day 1, if I am breaking even on day 2 I am not breaking even, I again look at my two other data points which is cost per click and CTR to actually see what I should be doing. Now given the fact that if you have a very low budget, you only got a sale or two, it is still not enough for Facebook to really ramp up for you yet. So, let’s say now on day 3, you went back if you’re breaking even, things are doing well then what I would do at that stage is to increase my budget by no more than 20% because I do not want to throw off the algorithm. If you actually increase your budget more than 20% then you’re going to throw off the algorithm, it is going to reset and learn again. So your goal is to again monitor the click-through rate and CPC if you’re getting sales here, not here’s here sales on Thursday, no sales on fourth day, it is fine as long as your data point it’s all hitting in par and you slowly ramp up, that is absolutely fine. As a matter of fact, Facebook needs around right now they changed it, you need around 50 purchases within a week for Facebook to fully understand what is going on and find the right audience for you. That said, your control is really going to be in the cost per click link and the CTR at the same time and you can decide what you’re going to do. It is a normal thing, it is absolutely normal; however, let’s say that in another case scenario that may come up, let’s say on day 1 you broke even, on day 2 you didn’t make any money and you’ve realized that your click-through rate and your cost-per-click is like amazing. So what I mean by amazing let’s say that your cost per click is like 50 cents and your CTR is like as high as 4% if that’s the indicator that I got, what I may do is I would look at how big the audience size is. Let’s say my audience size is a million audience what I’m going to do is I will pause the existing ad set and create a new ad set using the same ad, same targeting, same everything but when I go out, I go as high as $100 to $200 a day. I just push into the market right away. Now again, this is a little bit of a higher risk but it is a calculated risk because I know that my click-through rate is super high, my cost per clicks really low, on day 1 I already broke even, just that on day 2, I didn’t make a sale but my CTR and my CPC is sustaining, then that basically gives me an indicator that there’s a higher chance that this will work. I hope that helps you out. Hi, Fred. I find your video very inspiring and that led me to start a Sports Watch Store. Thank you very much. Love to hear that I’m an inspiration, that’s why I’m here every single day just to be with you guys. So you go on. I’m stuck in targeting my audience can you please explain how you would do it. I’m also in Vancouver and I would like to meet you sometime. You are my hero. Thanks! I don’t really do any meet-ups but that may change in the future and if you want to know if I am hosting any meet-ups, make sure you subscribe to my email list and you will get information from there. Now, talking about targeting, you’re in a perfect treat right now. I’m looking at your store right now and I can see that you are selling a lot of what I called generic products. They’re awesome watches. They’re great watches, but at the end of the day, they’re really generic. Now, what I mean by generic is that it’s going to be very hard for you to tie in with a person or with a niche that will express interest in your watch. So you’re basically now going out and need to invest a lot of other money in order for you to figure out what is going on and let Facebook figure out if they can actually optimize for you or not. With that being said, here are two tips that I can give to you right now. Tip number 1, go find watches that you can tie a niche to it. So, let’s say for an example, I’ve seen this watch before it is a watch where the brace or the wrist band looks like the flag of France and is a really premium watch, then what you can do is that inside your targeting, you can go after anyone that actually love France. That are obviously not in France or you can actually advertise people in France, it’s up to you. You go after people that are interested in or loving France and also watches at the same time. So now, what you’re doing is that you are drilling down deeper using flex targeting to find the potential customers that will most likely buy that watch and that’s what you want to do. Now, the other thing that I would have to share with you since that you are in the watch niche is to use lifestyle photos. 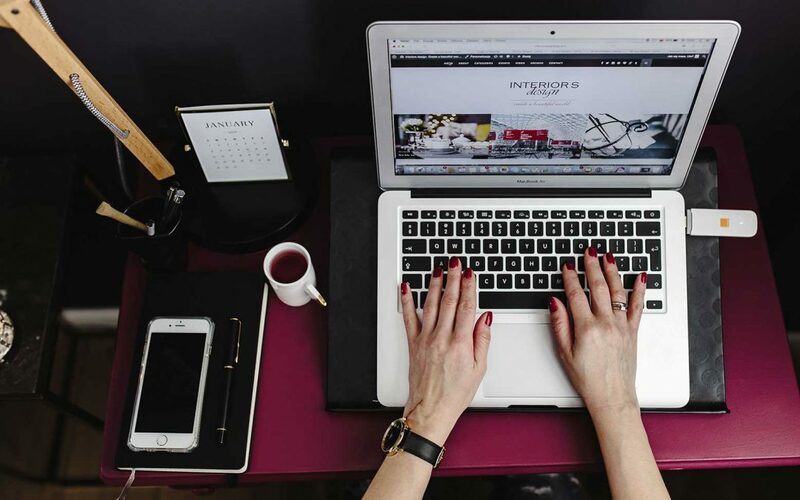 If you use lifestyle photos, it is proven to convert a lot higher and achieve a much higher click-through rates, this goes for apparels, this goes for accessories, this goes for fashion this goes for print-on-demand, lifestyle photos always sell really well. What I mean by that is simply having a person wearing that watch, and advertising it and those lifestyle photos always work phenomenally well. But again, what I would suggest in terms of targeting is to find a watch that you can tie a secondary targeting to it and start off from there. Don’t go out and go after like branded or bigger generic products because you will need to invest a lot more money before you do so. Again, I suggest you need to start a little bit smaller and get your feet wet, understand what is going on with a smaller niche in the store of your watch and really go from there. [0:11:47] Question 3: I have set up an eCommerce store, but have been afraid to move on as people discouraging me that it won't work and wasting my time. What would you advise me to do? Fred, I have been following you for a while and I have also gone ahead to set up an eCommerce store, but have been afraid to move on as people discouraging me that it won’t work and wasting my time. What would you advise me to do? So Kenneth, here’s what I would advise you to do. Break up with all your friends, they are a bunch of people that are holding you back. Again, at the end of the day, who you hang out with really affects your success, if you’re around a bunch of people that all they care about is going to a 9- 5 job, you’re never going to succeed because they are just going to give you negative energy and that will actually discourage you which you are happening right now and that will affect you in a drastic level. Now, I know for a fact that obviously, it is going to be very hard for you to say F-off to your friends or whatever. I don’t know who are basically the people that are discouraging you; but at the end of the day, here’s what you can do. What you can do is every day spend 30 minutes on working on your mindset it can be motivation stuff, it can be meditation, it can be you looking at how well people are doing online, to give you some sort of inspiration. Another thing is that you’ve got to basically have a goal in mind. Now, I’m not talking about having a financial goal in mind but you want to basically have a greater purpose. 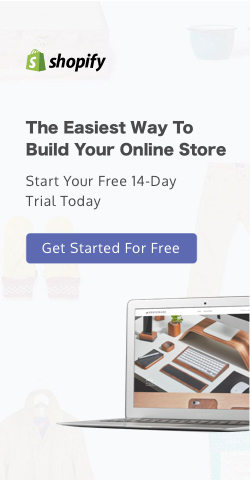 Why do you want to get the your eCommerce store to work? 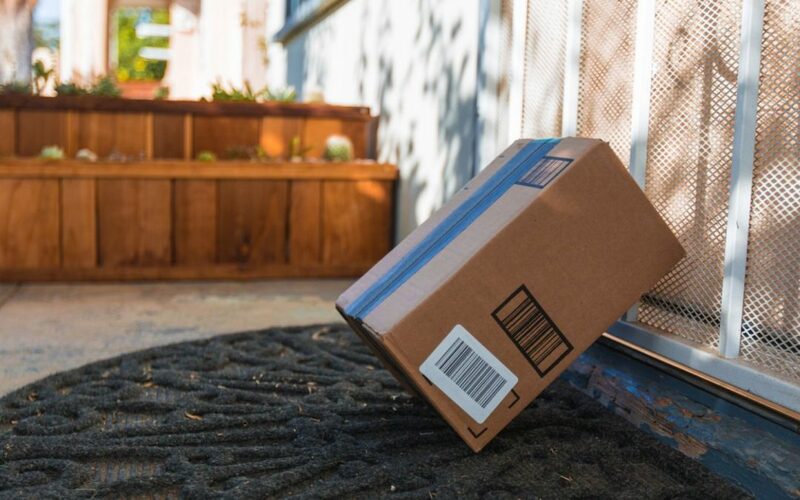 Why do you want to basically have eCommerce to be your bread and butter and to be paying off for their mortgage and for your cars and or maybe for the tuition for your kids? You want to find a greater purpose because if you don’t have a greater purpose that you are emotionally attached to it, then what will happen is that you are just going to be chasing for the dollars and you will not be as motivated to push your business forward, to figure out what is not working for you, to actually dissect your business, spend more time in your business. That’s my advice to you. My last advice that I would HIGHLY have you take into consideration is take baby steps and if you just stall and you are living in doubt, you will never succeed. You would have to take steps forward. Do not have it just in your mind, apply it, do it, because if you just sit and say all my friends said this is going to be a waste of my time, I don’t know if this is going to work, I don’t know what’s going to happen next, you are always going to live in doubt and it will drastically affect your business and where you wanted to go towards your entrepreneurship. Again, don’t worry about what people think about it. For me when I first started, everyone think that I’m a dumbass. People think that holy this little kid thinking that he’s washing dishes, thinking that he can make a million dollars simply building a business, he’s out of his mind. I’ve been said so many times about it but you know what, I go like you know what screw this. I’m going to show everyone that I have to keep ability to do it. I’m going to show everyone that I can actually go from washing dishes to owning a 7-figure business and also taking care of my family, that’s what drove me. From there, I continue to move forward, I continue to push forward, I don’t have things just living inside my head. I took action on whatever is in front of me. I took action even though if I don’t know if it’s going to work out or not, I still took action because through that process, I’m going to learn a lot and I know that learning experience cannot be bought. That learning experience cannot be attained elsewhere. I have to do it to learn it. For those of you guys for watching that are always basically living in doubt, for those of you that are procrastinating, I hope that I just called you out and I really seriously hope that you got to take action. There’s a wealth of information in my YouTube channel, there’s a wealth of information online, we’re living in a day and age that our grandparents, even our parents cannot even get the level of education that we are experiencing right now and the ability to achieve financial dream as such a short period of time, so seriously take action, screw all those people that are discouraging you, prove to them and basically have them beg you for a job. That’s your goal. That’s what you wanted to do. Make your friends beg you for your job and for me, I love to prove haters that I do what I’m doing is right and what I’m doing and what I’m sharing is basically out of what I believe is the right path for not just myself but for everyone that is actually watching my videos and listening at the same time. [0:17:14] Question 4: I saw Facebook ads with new features. After pressing the submit button in the ads, it directly linked to Whatsapp number. It's very useful for a local business. How do you know to set it up, what objective to choose. Moving on to the fourth question of the day and where we are going to Ong Pei Tong which is asking about the topic. Dear, Fred. I saw Facebook ads with new features. After pressing the submit button in the ads, it directly linked to Whatsapp number. It’s very useful for a local business. How do you know to set it up, what objective to choose. The answer to your question is that Facebook is beta testing Whatsapp right now. So there are some advertisers that have the ability to create an ad where when they click on it, it will send them a Whatsapp message directly to their cellphone. I believe that this is going to be a very interesting trend and I don’t know where Facebook is going to finalize, if they’re going to release it to the public or not because I know that for beta versions, sometimes they don’t release it to the public because they have tested it. People are not getting that great of a result. The beta tester didn’t really get that good of a result, so you don’t they don’t release it. But at the end of the day, I think mobile is still going to be an absolute key. Facebook Messenger is great, but I think having another vehicle to contact your potential customers or engage with your customers through Whatsapp app is actually brilliant. As a matter of fact, I do agree with you is that this will really help local businesses because local businesses want to have these phone numbers and a one-on-one connections. It will also help sales, it will also help people that sells insurance, it will also help a lot of people on that realm of things. But at the end of the day, it is still in beta testing and it is a Whatsapp function. When are they fully going to release it? I do not know. Are they going to really release it? I don’t know too and I’ll be perfectly honest, I don’t have access to that only because maybe I don’t have a local business under my account so it doesn’t give me the beta access to test Whatsapp; however, if it ever comes out to the public, I think it is a very, very, very great adset for your company to gather up a Whatsapp list. So, you are now sharing your message from different avenues, emails, messenger, Whatsapp or potentially text message at the same time. [0:019:48] Question 5: One of my product I'm using $10 ad budget on Facebook ad and I make even most 90% of the days, but when I increase my budget, I lose money. My question is what, should my next step be? Thanks so much! Hi, Fred. I’ve been watching my videos and learned a lot. One of my product I’m using $10 ad budget on Facebook ad and I make even most 90% of the days, but when I increase my budget, I lose money. My question is what, should my next step be? Thanks so much! Andrew the next step only increases your budget by 20% and what I would suggest you to do is that whatever targeting that is working for you, there are two things that you want to take at play : (1) increase your average order value by introducing upsells. 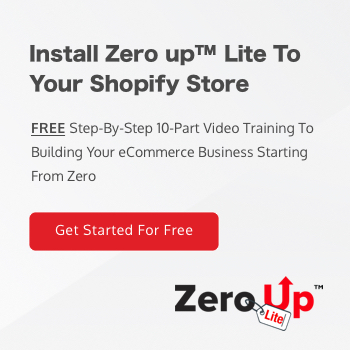 Upsells and profit multiplier so that you are not just making 90% of your money back, you’re making over a 100% so you’re making profit for every single sale. (2) Is to take the interest targeting that is working for you. Go to the audience insight, put in that keyword and look at the page likes and see what another targeting you can go after that is similar to the interest targeting that it’s working for you. So, not only are you increasing vertically, you’re increasing horizontally at the same time. You’re increasing 20% budget on your ad set that is working, you’re also going to be creating more ad sets that is revolving around the initial interest that are working for you so you can spread out your market and attract more of the same audiences toward your store. That’s my two pieces of advice for you. So that is really it for a daily huddle today. Listen up, how many of you guys are going to be excited if I share with you right now that next week, there is a brand new series of video training that’s going to be released on my YouTube channel. If you are excited, put in a ‘me’ right into the comment box on YouTube, Instagram or Facebook. If you are a follower of my Instagram page, you would see a sneak peak on what is happening. I would have to tell you, starting next week on Monday I need you to be excited and anticipate on Monday because on Monday there is something that will blow you away that I am releasing. It will go out in all my social media channel. It will go out through emails but make sure once you got a notification on what is happening, start diving into it because you are going in for a real treat at a complete real treat. What I can tell you is that, it’s something to do of 0-500,000 dollars in just 60 days . That’s all I can share. If you guys are excited, make sure you stay tuned on Monday. It’s going to be the official drop starting on Monday. In my YouTube channel and you’re going to get a notification on Facebook, on emails and on Instagram and I’d seriously want you to dive into what I have set up for you guys. It will completely blow you away. Doesn’t cost you a penny, it is absolutely free. Other than that, that is it for today for our daily huddle and listen if you have not followed me on Instagram, please go to Instagram, look for Fred Lam Official and click that follow button. If you’re on Instagram and you haven’t followed me, please follow me right now, tag me and your post get your friends and family to follow me. Want to build that channel up and other than, that have a wonderful weekend ahead but please do not go on a Netflix marathon. Focus on your business, spend some time on your business, start educating yourself, start investing in your own knowledge. Other than that, I look forward I see you guys on Monday when we do something pretty epic. All right I’ll see you guys then!